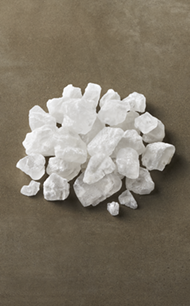 Our high purity water softener salt contains up to 99.6% pure salt. Evaporated naturally by the sun and wind, these large solar crystals have a clear, clean appearance and a very low insoluble content. They are also formulated to resist mushing and bridging, minimizing the accumulation of water softener brine tank residue. 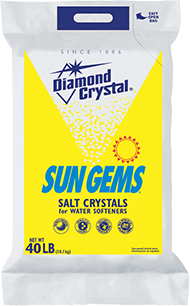 These water softener salt crystals are recommended for use in all water softeners; available in limited areas. Have a Water Softener Salt Question? Visit our Water Softener Salt FAQs page.